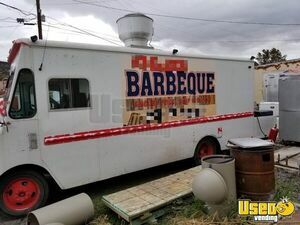 Chevy Food Truck for Sale in Arizona!!! Share your signature fried and grilled goodness to the world when you run your food business with this 1979 model Chevy food truck with 80,000 miles on its engine. The kitchen was installed in 2015. More details are shown below. 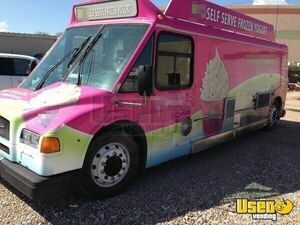 GMC Ice Cream Truck for Sale in Arizona!!! Give the city a flavorful treatment when you start your own travelling ice cream business! Get started with this 1997 model GMC Utilimaster mobile creamery unit that has a 2018 build kitchen inside! See more details down below. 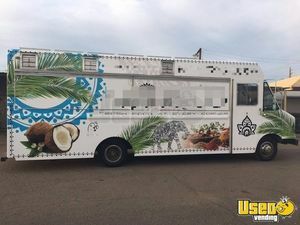 Mercedes Benz Food Truck for Sale in Arizona!!! It's your turn to start an awesome mobile food business! Begin your food truck business venture with this 2007 model Mercedes Benz Sprinter 3500 food truck that has 135,000 miles on its engine and it is in like new condition! See more details down below. 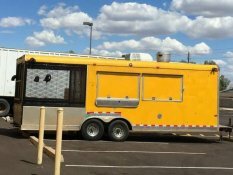 Food Truck for Sale in Arizona!!! 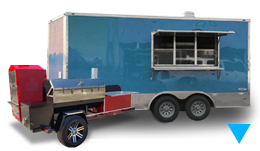 Don't miss your chance on getting an awesome mobile food unit! 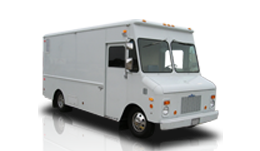 Do not miss this very good condition 1996 Freightliner food truck that is ready for your food business! 220k miles on original diesel motor. Kitchen installed 2014. More details and features are shown below. Check out this deal of a lifetime! Start your own mobile food business with this 1995 model Chevy food truck! Less than 2000 miles since engine rebuilt; Kitchen is BRAND NEW, never used. 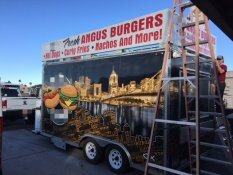 Look for further information and features of this food truck below. 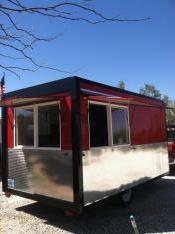 GMC Mobile Kitchen Food Truck for Sale in Arizona!!! Passionate about cooking and starting a business of your own? This mobile kitchen is perfect for you! 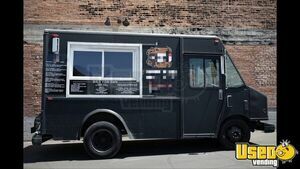 Grab this turn key 1997 model GMC P30 mobile kitchen food truck that is featuring an equipped 2017 build kitchen inside! See further details and features below. Feel the rush when you travel around the city with your very own mobile food business! Get right to it with the help of this 1986 model Chevy P30 food truck that is featuring an equipped 2016 build kitchen inside! 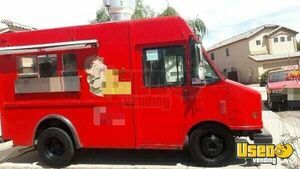 Check out more details and features of this food truck below. Race for the gold in the street food business game! Grab this 1995 model Chevy P30 food truck that has 203,000 miles on its engine! The kitchen inside was installed in 2014. Check out more details and features down below. 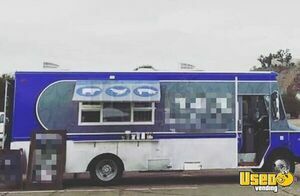 Make your way to the heart of the street food business scene when you get this good condition 2000 model Chevy workhorse food truck that has 7.6' of inside standing height! More details and features are shown down below! Has 200k miles on it. Note: has small transmission leak, service light on. 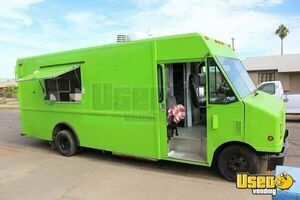 Turnkey Chevy P30 Food Truck for Sale in Arizona!!! Get on the road to success with this 1998 model Chevy P30 food truck that has 171,100 miles on its engine. You can see more details and features below. 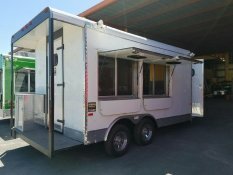 2017 Ram 2500 Mobile Kitchen Food Truck for Sale in Arizona!!! 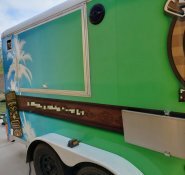 Available now is a fresh food truck that's ready for your fresh mobile food business adventure! This is a 2017 model Ram 2500 high roof food truck that is in like new condition! More details can seen below. 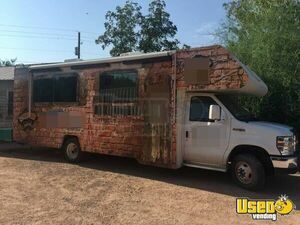 GMC Food Truck for Sale in Arizona!!! Every success has a starting point! This 1997 model GMC food truck might be yours! Truck has overall 177k miles on it and 16k on its new engine. 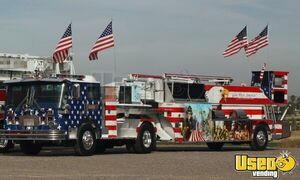 Check this out and see more details of this unit below. 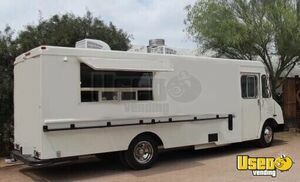 Ford Mobile Kitchen Food Truck for Sale in Arizona!!! 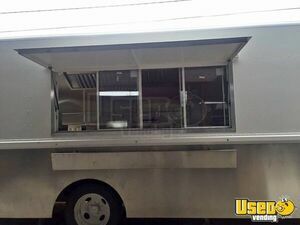 Start the best food business on wheels with this 2004 Ford mobile kitchen food truck that is equipped with high quality equipment and has 106,059 miles on it. See more details and features of this awesome unit below. Start big! 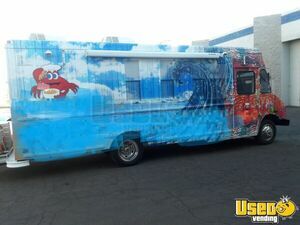 Get this awesome 1995 - 8' x 28' Ford Econ LT318 empty party bus and finish it to become a very stunning food truck unit! More details of this unit can be seen below. 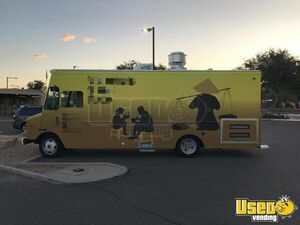 Chevy Mobile Kitchen Food Truck for Sale in Arizona!!! Stunning exterior and spacious work space is what this truck is all about! Up for grabs is a 1997 Chevy Mobile Kitchen Food Truck that has 107,000 miles on its engine. 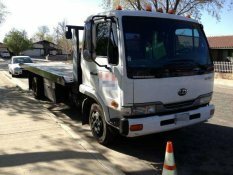 Check out more details of this truck below. 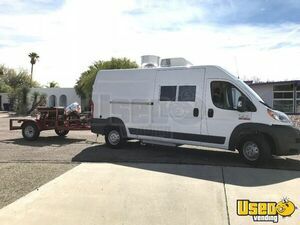 Ford Winnebago Food Truck for Sale in Arizona!!! 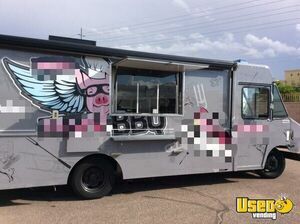 If you're currently searching for a food truck, keep in mind, this truck is one of a kind! Your search might be over! This is a 2014 model Ford E45o Winnebago conversion to Food Truck that has 14,907 miles on its engine. More features shown below. 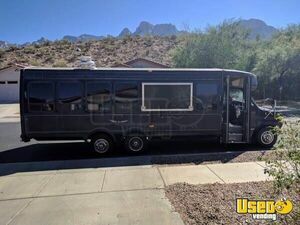 Orion Bus Food Truck for sale in Arizona!!! 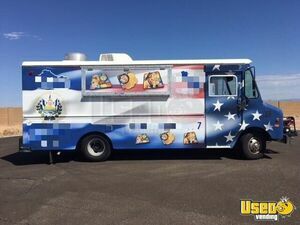 For sale in Arizona - This is a 1998 Orion Bus Food Truck. It runs on a 5.9L Cummins diesel engine with automatic transmission. Interior approx. 22' X 8' X 8'. See details for equipment inside. *NOTE this unit has been sitting for 3 years. It was put away clean and working. Seller says it needs a tune up on everything. 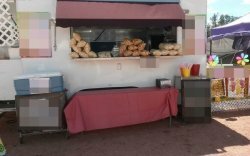 Truck & Trailer Turnkey BBQ Concession Business in Arizona for Sale!!! 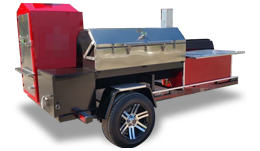 Looking for a fully self-contained, already running BBQ operation? 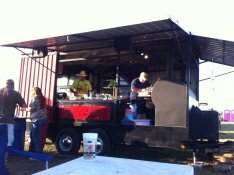 Check out this amazingly loaded BBQ concession truck/ trailer AND a 16’ft Cargo trailer for support. This is a 1986 trailer and it has been completely refurbished and it is now in like new condition. Allison automatic transmission and Detroit diesel silver 92 V6 engine. Perfect for huge events and a real eye catcher. See details for more info. I would definitely use this company again in the future, you won't regret it. Melissa, thank you so much with all your help!!! you made the process so easy and led me through every step of the way. I would definitely use this company again in the future, you won't regret it. Thanks again Melissa. They were very helpful and made it easy. Melissa did a great job helping me sell my rig. They were very helpful and made it easy. I'm looking forward to many years, and a lot of good food to come. THANKS!!!!! Bradley, Everything went great I couldn't have asked for more. Very happy with the smoking trailer. Even the 1000 mile one way was a pleasure. I'm looking forward to many years, and a lot of good food to come. THANKS!!!!! The entire team at UsedVending did their best and answered every question potential buyers had. After many tries ... we finally got a sale. My food truck needed some tender loving care to bring it back to its glory. 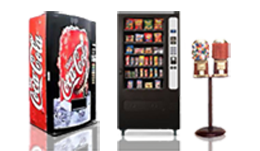 Used Vending is the best place to get many interested eyes on equipment like the food truck. 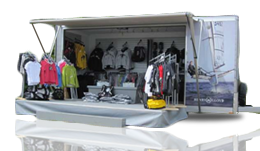 The entire team at Used Vending did their best and answered every question potential buyers had. What they didn't know, they would call or text me for the answer, Everybody was very professional and handled the prospects well. Finally it was Wendy who handled some negotiations which ended up with a sale. I would like to thank Wendy along with the entire crew for a job done well. Thanks to Used Vending we are on our way to bring a new adventure in the Food Truck industry. Yes my experience with Used Vending was wonderful. Wendy reached out to me promptly, we were able to see the unit we were interested in that day. As well as she was able to get us a lower price which made the viewing and purchase less stressful and quicker. 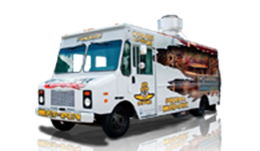 Thanks to Used Vending we are on our way to bring a new adventure in the Food Truck industry. Tonya worked very hard to get the deal closed, and was very patient with my lack of technical skills! Tonya was my representative, she worked very hard to get the deal closed, and was very patient with my lack of technical skills!! Would not hesitate to use her again as my representative! Thank you Bradley & UsedVending for helping to make my dream come true. Thank you Bradley & UsedVending for helping to make my dream come true. 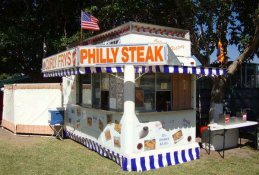 I was able to enjoy the experience of purchasing my concession trailer in just a few days. Bradley made it effortless & his guidance and follow-up were invaluable. I've looked at several sites and fabricators but working with Bradley and Used Vending was worth the wait! I highly recommend them and look forward to using both again in the future. ...hurricane Nate was impacting UsedVending but I still got excellent service from Bradley. What a great experience! Great customer service. While I was selling the trailer, hurricane Nate was impacting UsedVending but I still got excellent service from Bradley. Thank you for all you do! 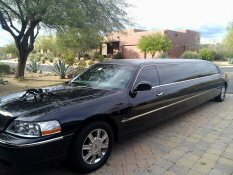 We sold our limousine hassle free, Bradley was Great!! When we get ready to buy car we will call you. I would recommend this site to everyone. We sold our limousine hassle free, Bradley was Great!! He kept us informed and made transfer of limo very easy and simple. His customers service was excellent. Thank you Bradley, you're Best! When we get ready to buy car we will call you. Best regards! Dear Wendy,Thank you for all the help you provided in locating the appropriate trailer for our mobile coffee roasting company. You connected us with a very conscientious and dedicated seller whose staff went out of their way to help make certain that we were satisfied with our purchase. Thank you again, and should we find ourselves in a position that allows us to expand our fleet, we know where we will turn to do so. I was very surprised how easy everything went & hassle free. Hi Crissy, Just wanted to thank you for all your help with the sale of my Ice Cream trailer. Everything went very good and quick. I would for sure use your web site to sell items again. I was very surprise how easy everything went and hassle free. thanks again. I am very pleased with how everything went and want you to look for a comparable deal on a short bed rollback. Dear April, Everything went very well with the transaction, I am pleased with the equipment. Andrei was not only very helpful and informative, but pleasant to get to know and 2.5 hours after contact I drove out of Lancaster with the new truck and drove through the night and was back in Holbrook by noon the next day, ran the title work and everything is switched over and looking good. I am very pleased with how everything went and want you to look for a comparable deal on a short bed rollback. You have been pleasant to work with and the whole transaction has moved smoothly and rapidly. If you want to sell quickly and without headaches, I suggest contacting Melissa today. I couldn't be happier with my results, and you will agree by simply using Used Vending as your source to sell. Thank you again Melissa!